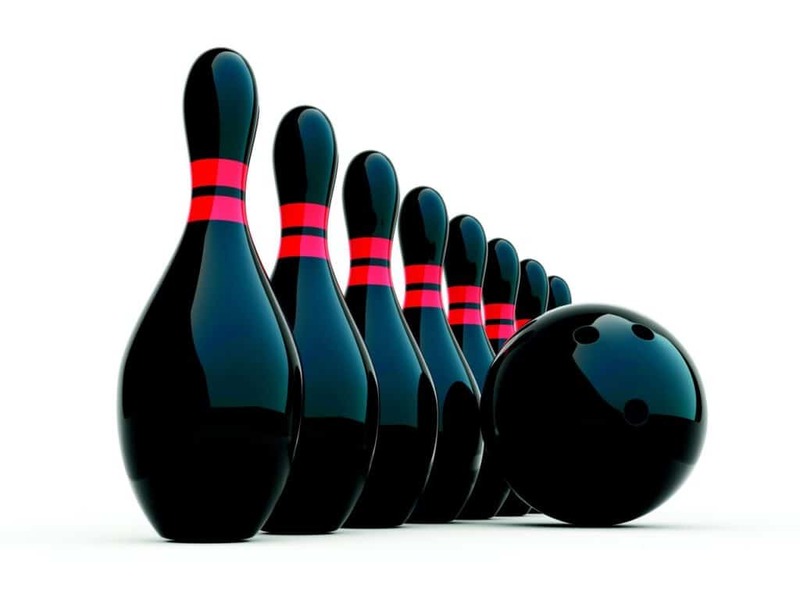 Bowling may look easy when someone else is playing but when you’re doing it yourself you’ll notice that there are a lot more things to do than just throwing the ball. Hook refers to the curving of the ball on the lane. Well, even though you might have a hard time doing it at first but following some simple steps you’ll master it in no time. It’s important that you make a proper swing in order to hook the ball. Hooking is generated by the combination of two forces called revolution and side rotation. Learning to hook is very essential in order to score big on the game. Throwing a hook increases your potential to land on a strike. Even though your shot is not precise, it’s easier to get a strike with a hook ball as the ball spins more with a hook ball. Investing in a good bowling ball with good hook potential is a must if you want to ace the game. If you have been playing with a house ball all these time then it’s high time you invest on your own bowling ball. House balls have a grip style called conventional grip. Here, you need to put your second knuckle in all the way which makes it a lot harder to hook the ball. Hence, the first and foremost thing you need to do is to invest in a bowling ball which you can get drilled according to your playing style and the curvature of your hand. Bowlers often tend to create forced spins with the wrist by rotating the arm sideways across the body. Well, this is something you should absolutely avoid. Rather than generating a hook, this will make the ball harder to control on the lane and even swerve the ball off the lane. You should put most of your weight on your left foot. The ball should be held somewhat near the chest height and you to lean enough to the right so that you don’t end up hitting the ball with your leg as you throw it. Visualize an imaginary line across the lane. Keep your feet close together to maintain alignment. Determine the starting position in your head. As you approach towards your target, keep your left foot on the center dot and aim somewhere between the second and third arrows from the right. There are several factors such as the lane condition, oil content, the bowling ball you’re using play a vital part in deciding your aim. However, this aim pattern is a standard one that will help you get away with most of the conditions. As we already mentioned that conventional grips are not good for hooking so get your ball drilled to fit your hand. Put two of your knuckles on the finger hole and release the thumb as soon as you take your final step. Your index finger and middle finger will shape your shot, if you leave the thumb for too long on the ball, it will make it harder to control. After removing the thumb from the ball, the entire weight of the ball will be shifted on your index and middle finger. As you remove the fingers from the ball, you should turn them counter-clockwise if you’re a righty and turn them clockwise if you’re a lefty. This approach is very crucial in creating a spin on the ball. First, you’ll need to take one foot in front of your body and the other one behind. The right foot should step forward as the arm pushes the ball down. The second step is to make a swing and move your left foot forward. Move your arms down towards the ankle ball and move your hand up at the ceiling. The arm should go up half a circle. Then move your left foot forward as the ball arcs down. Eventually, the ball should end up beside the right calf. In the next position, the right foot should move forward as the ball arcs back to the highest point of the swing of about your shoulder height. For the fourth step, as the ball goes down, your right foot should slide sideways in the back of the left leg. Be careful about your timing as an early timing will lead the ball get on the foul before your foot gets in and a late timing will occur when your foot gets in there way before the swing takes place. For the final step, your left leg should be planted in front of your knees and should be bent on a 45-degree angle and keep your spine at 15 degrees. Landing on a perfect hook requires practice. You may not become a pro overnight but with continuous practice, you can master it easily. Also, having the right bowling ball is really important. So, get your hands on a bowling ball designed for hook and rock the lane this season.